This pack retails for $99.99. To enter, all you need to do is guess the mystery preparedness item pictured below. It is a preparedness item, although a little less common than some of the others we’ve featured. If you have no idea, take your best guess. There are more ways to enter like sharing this post, visiting my Shelf Reliance page, or liking my facebook page. Follow the directions in the “leave a comment” section–I want to know what else from Shelf Reliance you’d love to try, so random comments won’t count toward the giveaway. 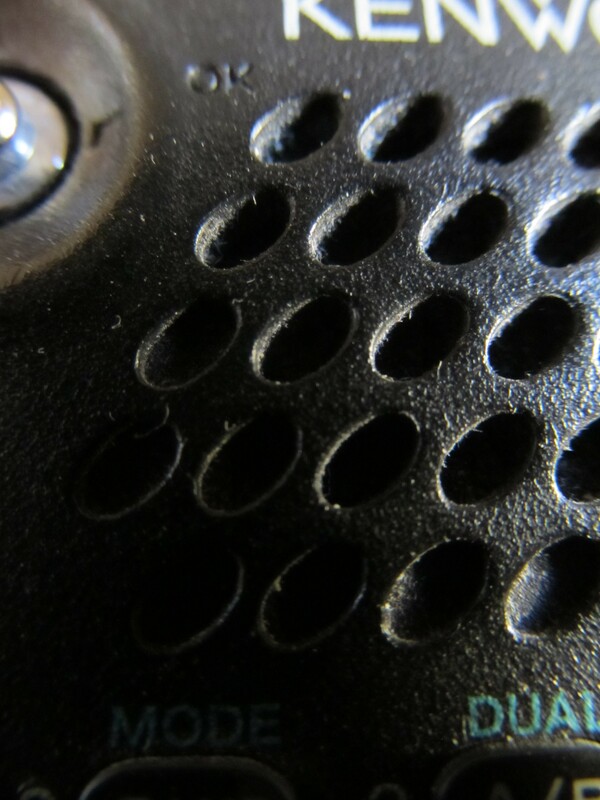 Also, please don’t guess in the comments–use the form under the picture so everyone has the same disadvantage! :) You can click the picture to make it bigger although it’s already super-close-and-bigger-than-life right here in the post. This giveaway will run through next Friday, September 28th. If the form isn’t showing up, wait a bit or click the link below to get to it. Thanks for offering these great giveaways. I’ve really liked everything I’ve gotten from Shelf Reliance. 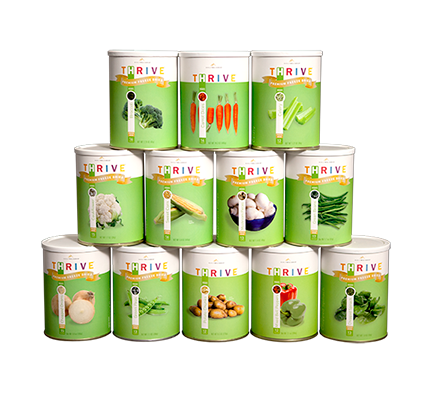 Also what I’d like to see from Thrive is smaller sampler packs. I am not really keen on shelling out $80 or more on a sampler when I’m not sure I’ll even like any of it. Maybe 1-2 serving packages kind of like what they offer in the gift baskets. I’d love to add this to my supply. I haven’t seen anything like this before and at that price, there’s really no reason not to buy. You always do the coolest giveaways! You’re awesome! We cannot purchase from shelf reliance because of gluten contamination in their products but I do love how wide of a selection of FD fruits and veggies they have. If we won I’d give this as an awesome present to a sibling for Christmas! I would love to have a Harvest free-standing rack!! I’d like to try the 10 grain pancake mix. I want to try the yogurt bites. I’ve heard good things about them but haven’t gotten around to buying any. I’ve always wanted to try the freeze dried cheddar cheese. I’ve read good things about it. I agree that I would like smaller sampler packs to try things before shelling out a lot of money on something I may not like. Oh man, I want to try everything. But if I had to pick, I’d like the can organizers and freeze dried fruits. i’d also like to get some of the lifecaps. I’d like the berry 6-pack of #10 cans. I’d love to try almost everything I’ve seen on the site. The powdered egg whites sound great, though! I would love to try the powdered butter. Trial packages so a person can try the product without spending a lot of money. I would love a Harvest shelving unit. I’d love to try any dairy products, it’s so difficult to find food storage dairy items that don’t taste awful. Would love to try the freeze dried cheese. I see many things I need. I would love to have the medical first aid kit. I would love to try the Aqua pails! Or other water storage or filtering! i like the food rotation systems! I need more powdered butter. But want the food storage system. I’d really like to try Thrive products! I wish I could get trial sizes so I could see what we like before buying a large amount. 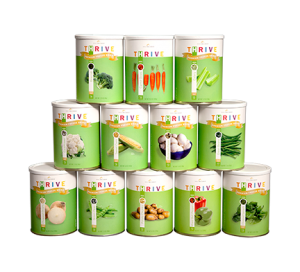 I’d love to try some more of the Thrive freeze dried products in trial sizes. I would love to try any of the fruits! I would like to try the fruits-milk and grains. 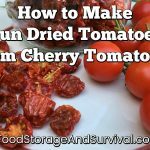 I’d love to win some freeze dried veggies! I guess I should say that I’d like to try the freeze dried fruit too! Would love to add this to my storage. MRE Chicken rice with vegetables.